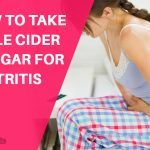 Apple cider Vinegar is a magical cure for your digestive issues. Apple cider vinegar is made from crushed apples. When apple juice is fermented it is called apple cider which turns into vinegar, hence apple cider vinegar! Apples are rich in nutrients and when it is retained by cider vinegar, it helps to protect an individual from nutritional deficiencies. The mallic acid in apple cider vinegar has anti-viral, anti-bacterial and anti-fungal properties. The presence of the above helps to improve bowel movement in an individual. 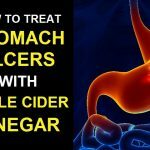 How to Use Apple Cider Vinegar for Digestive Issues? 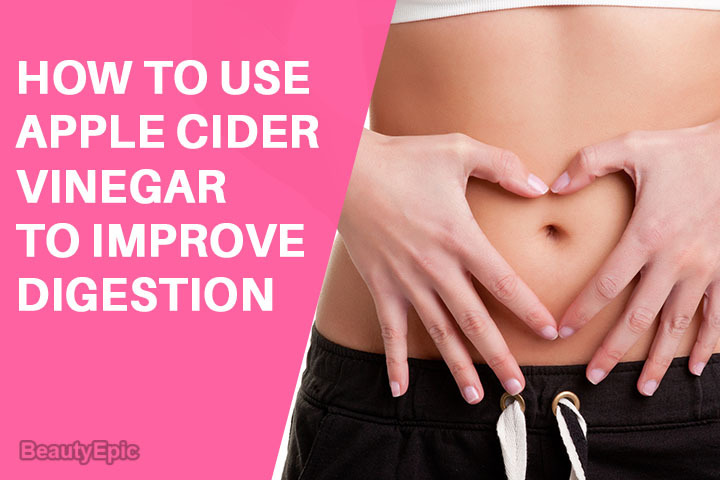 Apple cider vinegar is acidic in nature which helps to restore low acid levels in stomach. Apple Cider Vinegar lessens digestive disorders by breaking down the foods. The acids present in Apple cider vinegar helps to breakdown oil and proteins. This further helps in quick digestion. 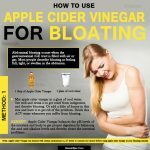 Apple cider vinegar also assist in getting relieved from bloating and gastric issue. Apple Cider Vinegar is acidic in nature and hence recommended to avoid taking it directly. Undiluted apple cider vinegar can cause side effects. Mix 1-2 tablespoons of apple cider vinegar with one cup of warm water with a tbsp. Drink the solution before meals or when heartburn strikes. This will ease indigestion and gas in your upset stomach. Repeat this process when required. Combine all above ingredients and stir well. Drink this solution until the problem is relieved. This helps sooth and irritated stomach, relieve nausea and also prevent acid reflux. Baking soda in your kitchen works wonders for your health and skin as well. It facilities in breaking down food for quicker digestion. The added benefit is that it also helps in relieving gas. Mix all above and stir well. Drink 2 to 3 times a day when your stomach is empty. Repeat this for five days to completely relieve from acid reflux. Lemon is acidic in nature. 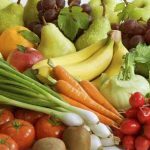 This helps to break down food easy and also clear the digestive system. Squeeze the juice out of lemons and mix with Apple cider vinegar in 1 glass of water. Drinking this concentration will help from bloating and acid reflux as well. Peel ginger and crush it. Bring water to boil and add the crushed ginger. Let it boil for 3-5 minutes. Remove from hear, strain the water and add one teaspoon of ACV. Apple cider vinegar when mixed with Mint tea helps to relax stomach muscles and improve flow of bile. This aids in digestion. Wash handful of fresh peppermint leaves and add to a cup of boiling water. Add one tsp. of Apple Cider Vinegar and drink this daily. You may also chew fresh peppermint leaves daily. You can try Apple Cider Vinegar with other combinations too. Method – 2: Add a tbsp. of fennel seeds to a glass of water and let it be overnight. Strain water and add a tsp. of Apple Cider Vinegar and drink on empty stomach. Do not lye down immediately post meals. 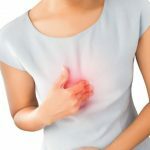 Avoid foods that trigger heartburn. Exercise or indulge in any physical activity. Don’t over eat and chew your food well. There can possibly be side effects some times. Apple cider vinegar may interact with certain medicines, laxatives, diuretics, heart disease medication and Diabetes drugs. 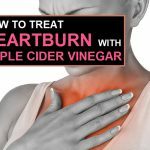 Do not use ACV if you have an ulcer as this may increase your trouble. Drink Apple cider vinegar with a straw to protect your teeth. Try these home remedies when you face digestive disorders. These easy ways will undoubtedly prevent further health complications in life. Did you try this before? Do you have more remedies which did not make it to the list? Please do share your experience and suggestions below. Note: Digestive issues occur to everybody and is a very common health problem. These stomach upset symptoms do not generally last long. But if left untreated can be a continuous pain and troublesome too. Therefore, it is always advisable to consult a doctor, when the situation gets worst.